The Iraqi Air Force mistakenly dropped food, water and ammunition to militants from the Islamic State (IS, also known as ISIS), thinking they were their own soldiers, US television NBC reported Tuesday. The channel quoted Hakim al–Zamili, an Iraqi MP from the fervently Shiite Sadrist bloc, saying that an investigation is underway. NBC said the supplies were supposed to help besieged Iraqi army officers and soldiers who had been fighting Islamist extremists for one week in Shaqlawah and the village of Al-Sijar in the country’s western Anbar province. 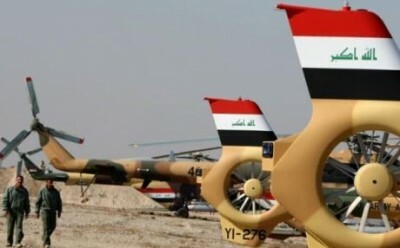 “Some pilots, instead of dropping these supplies over the area of the Iraqi army, threw it over the area that is controlled by ISIS fighters,” said al-Zamili, who is also a member of the parliament’s Security and Defence committee. “Those soldiers were in deadly need of these supplies, but because of the wrong plans of the commanders in the Iraqi army and lack of experience of the pilots, we in a way or another helped ISIS fighters kill our soldiers,” al-Zamili said. The channel also quoted a brigadier-general in Iraq’s Defense Ministry, who did not want to be identified, confirming the incident and saying it took place last week. Baghdad is trying to rebuild its military after it collapsed before an IS onslaught that has captured a third of the country since June. In desperate need of soldiers, the government has granted an amnesty for army deserters who return. US jets have been targeting IS positions in Iraq since last month, and a coalition of some 50 nations has gathered to defeat IS forces fighting there and in neighboring Syria.